1 tbsp. Sambal Oelek, or chopped red chili. 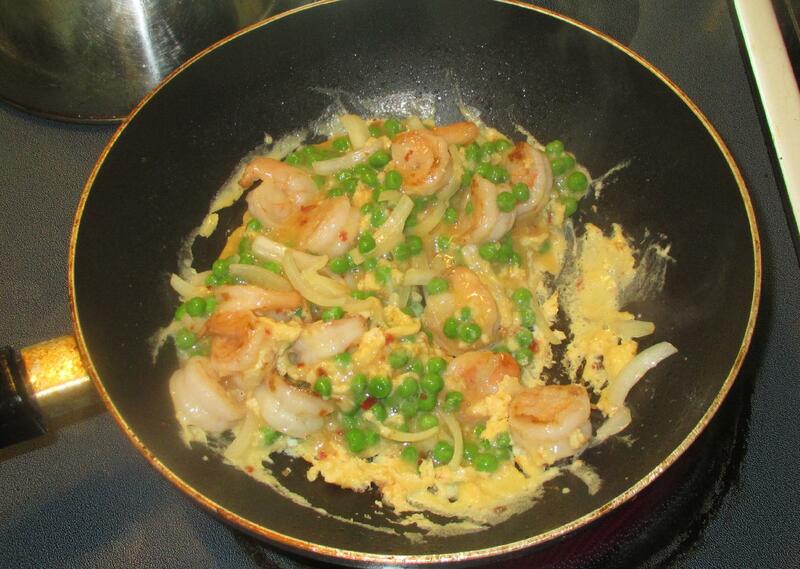 Stir the garlic paste and pepper into the shrimp and then mix in one teaspoon of the cornstarch. Allow this to marinate for at least 30 minutes. In a bowl, mix the remaining cornstarch with just enough water to make a slurry and then stir in the sugar, fish sauce and Sambal Oelek. 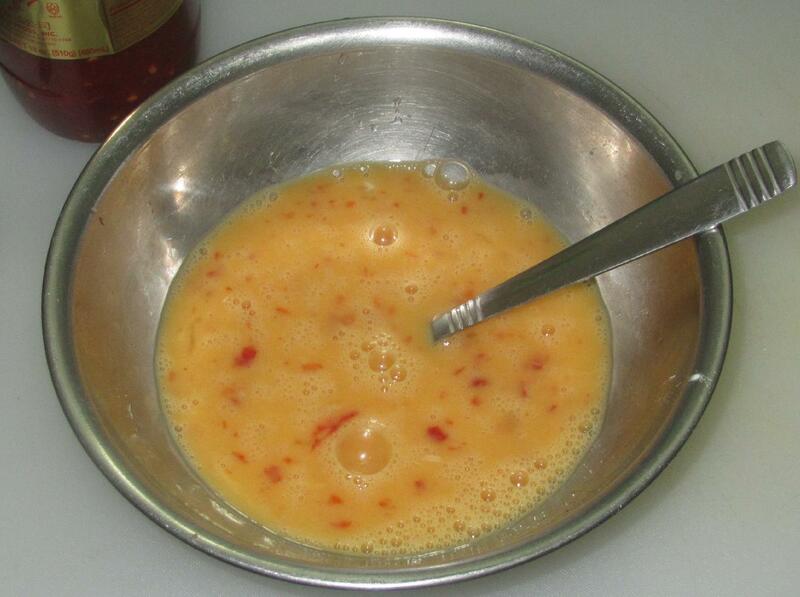 Now add the eggs and beat until well mixed and slightly frothy. Set this aside for the moment. 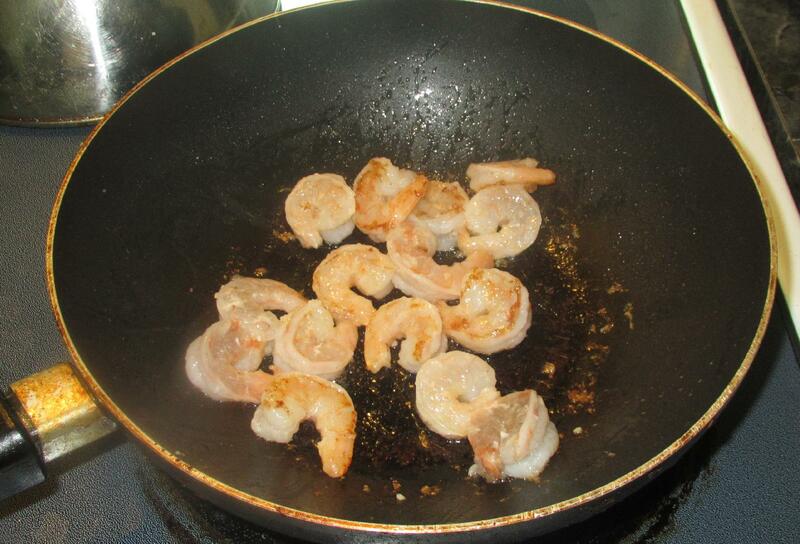 Heat a tablespoon or so of oil in a pan over moderate heat and throw in the shrimp. 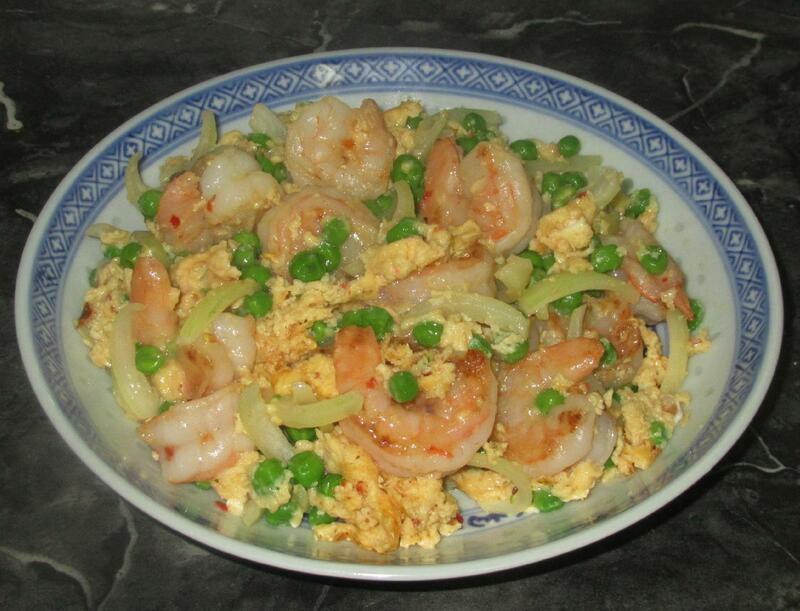 Stir-fry quickly until the shrimp are just cooked through. 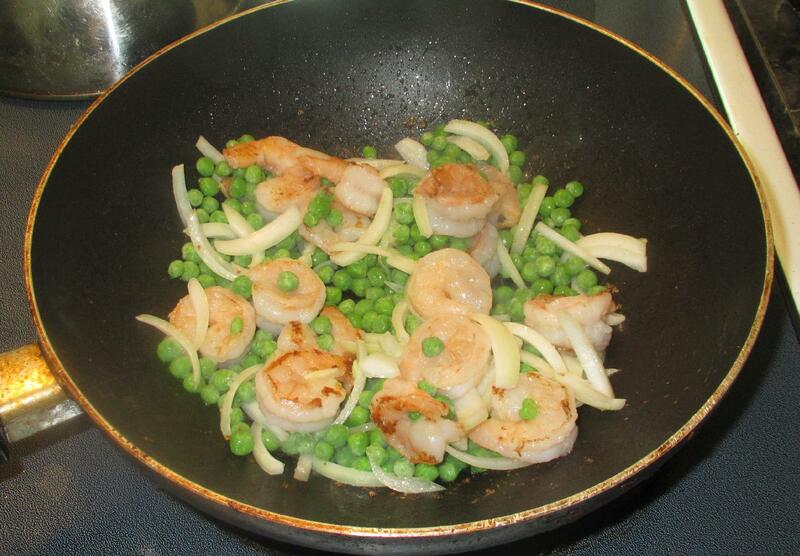 Now add the onion and peas, continuing to stir until the peas are thawed and heated through. Nice combination. 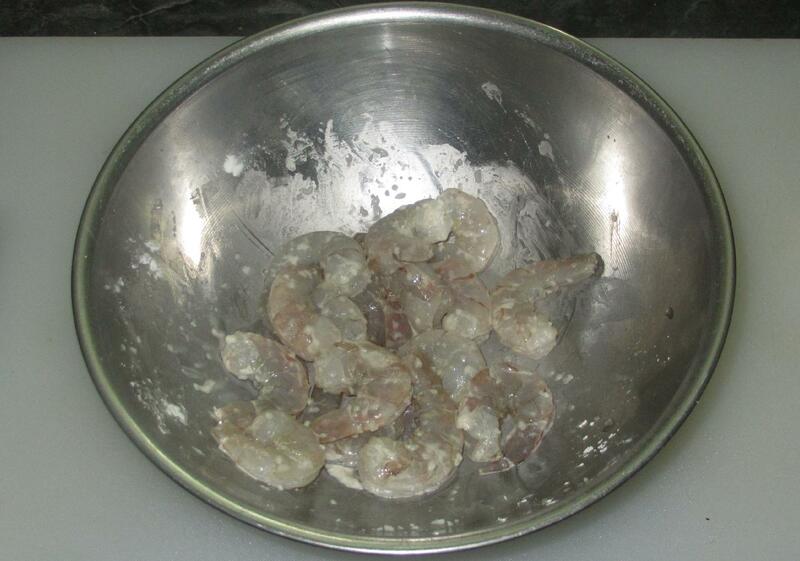 I always worry to overcook shrimp, so may lift them out after ‘browning’ them. Very nice, simple dish John. I usually have some Argentinian shrimp in the freezer. This could be a simple and tasty supper. Long time no see, John. Happy move to the island! Such an interesting combination! Never tried it, but seems like a tasty breakfast!